Randy Ramadhin is a graduate from the Rotman School of Business at the University of Toronto then served as a teaching assistant at the MBA and Executive MBA programs at the Rotman School of Business. Randy graduated with a Post-Diploma in Financial Services Underwriting at Seneca College and has graduated from UBC's Sauder School of Business with a Post-Graduate Certificate in Real Property Valuation required by the Appraisal Institute of Canada. 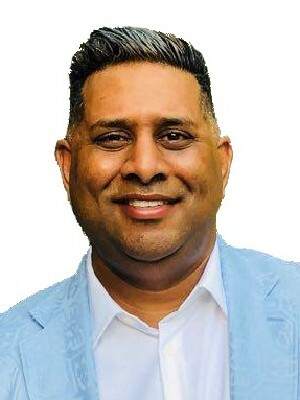 Further to these academic achievements, Randy is among the top of sales in the country for the Century 21 Canada system by achieving the Centurion Award in 2010 ($190,000 to $379,999 in gross annual commission) and Masters Ruby Award in 2011 ($100,000 to $129,999 in gross annual commission). Randy Ramadhin is a second generation real estate professional. Randy has grown up in a triplex painting apartments and meeting with tenants, later helped his uncles deliver flyers to homes and apartments at the age of 10 years old.Randy achieved academic accolade early in life by being a highschool award winner later featured in a Governor General's award winning film called "Yes I Can" featured on Rogers Cable, an Industry Canada Canada Scholar and later on featured in 2010 on Rogers Cable as a success story 17 years later. Finally, Randy launched a nationally published book in December 2011 by Wiley Canada called “Investing in Condominiums: Strategies, Tips and Expert Advice for the Canadian Real Estate Investor.” Randy is passionate about helping investors generate wealth through real estate investing and helping families along the way. Join Randy at one of his fundraising events for Castles for Families where he is teaching financial literacy to help families.